← 9 million reasons to be optimistic..
Is the TMT sector living up to its billing? 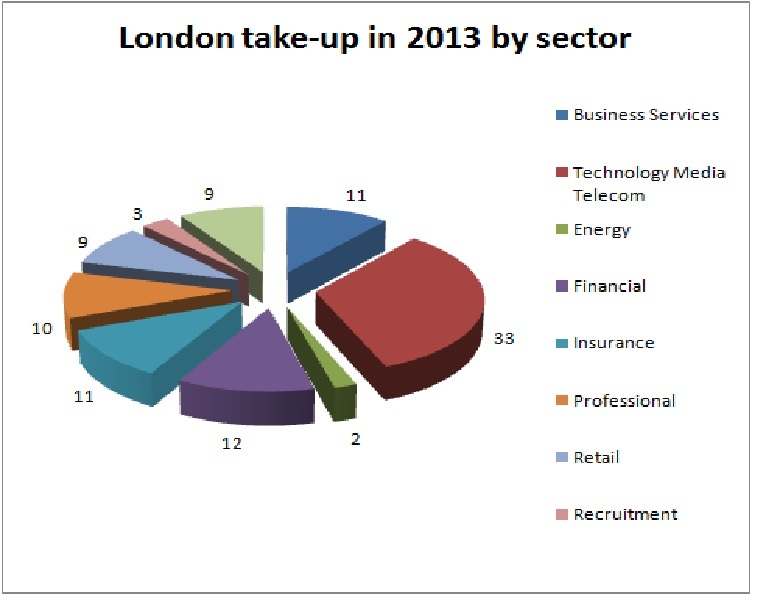 Metropolis recently revealed that London office lettings had reached 9m sq ft in the first 9 months of 2013. The technology media and telecom (TMT) sectors have received glowing predictions from analysts, as the business areas which will lead London’s new growth spurt. So, in view of the increased demand for office space is the TMT sector living up to its billing? In short, yes. In the first nine months of 2013 the computer/IT-related technology sector outstripped all others, with over 1.5m sq ft of lettings, backed up by 1.4m sq ft of media deals. In previous years the financial and professional sectors have led the way, but during 2013 they have been relegated to third and fourth places. The property press and agents reports have christened the area around Old Street roundabout, London, EC1 as’Tech City’ and the district has been hailed as London’s new growth pole. However this prediction has not yet come true, with only 670,000 sq ft transacted in that postcode this year, representing only just over 7% of total take-up. There are a number of redevelopments lined up for the area, but it looks likely that it will be some time before it takes a larger share of London’s office take-up.